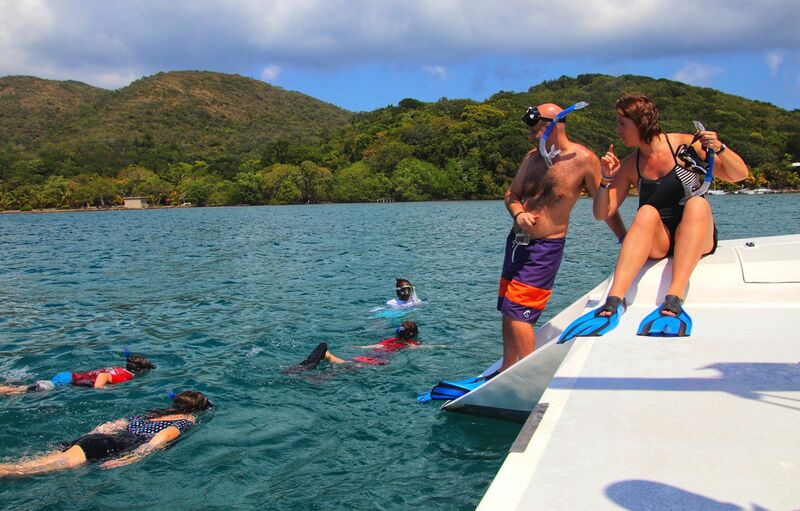 Escape the crowds and enjoy a luxurious private catamaran snorkelling tour in Roatan! See how Amavi Charters gives the priceless gift of lifelong memories. “I came, I saw, I loved.” This is the meaning behind Amavi Charters, and it’s easy to see why. Located on the gorgeous Honduras island of Roatan, Amavi brings the love of the island and the ocean life to each chartered excursion, welcoming you like royalty. Surrounded by turquoise water and a nearly untouched reef, Roatan has some of the best snorkelling in the world. Roatan is an island in the Caribbean, about 65 Kilometres (40 mi) off the northern coast of Honduras. Roatán lies on the southern edge of the Mesoamerican Barrier Reef System, the second-largest barrier reef in the world. If you are wanting to go snorkelling on your Caribbean cruise, this is the place to do it. Since Amavi specializes in private charters, they were the clear choice for us. They were even able to easily accommodate Papa joining in the fun. Multi-Generational groups is no problem for Amavi. In fact, one of the guides even let Papa hold his forearm and snorkel together to make sure everyone stayed safe and had a good time. Amavi Charters caters to multi-generational families. Perfect for Papa & Nana! 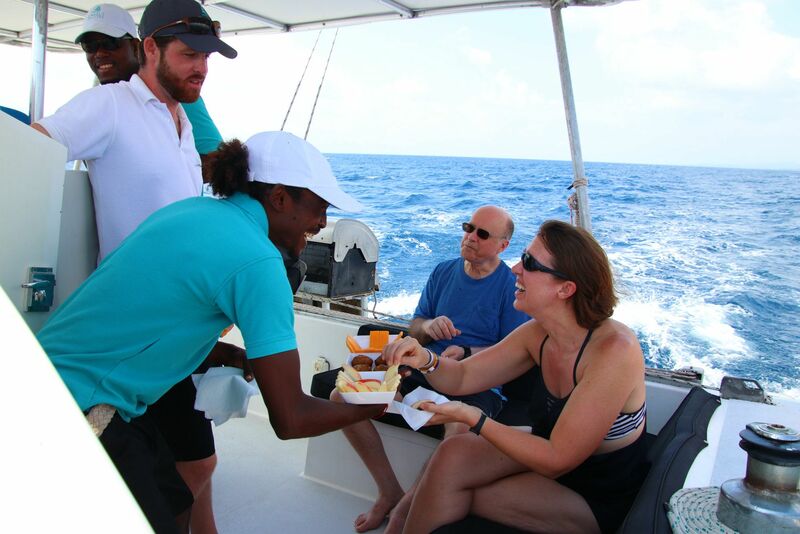 World class service – USA Expat, Owners Rob and Natasha, along with Captain Andrew and 1st mate Alan worked together to provide impeccable service. 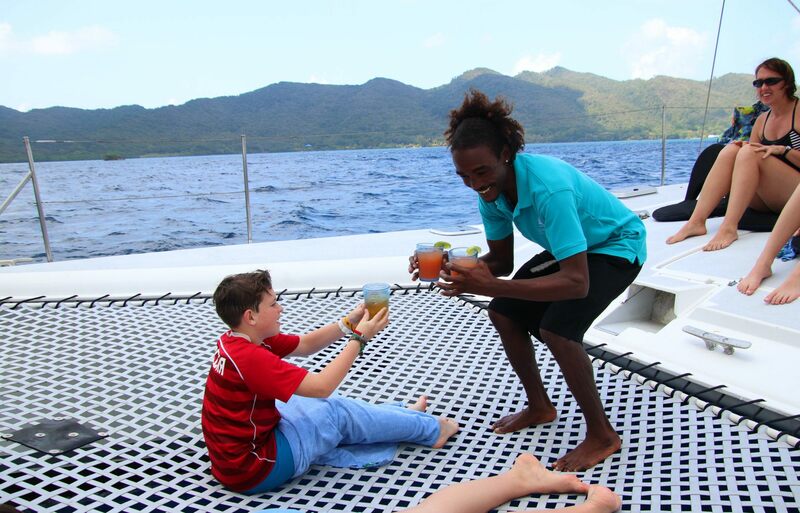 From the moment we walked onto the catamaran with Amavi, we were treated like VIP guests. After a quick tour of the boat and a couple simple safety rules, we were off on our trip, but never once had to lift a finger. It’s as though they anticipated every need. From drinks, to snacks, to friendly conversation, each crew member gave us the trip of a lifetime. There were snacks on the ride out to the reef, snacks as we exited the water to get the salt taste out of mouths, and everyone served with graciousness and friendly smiles. 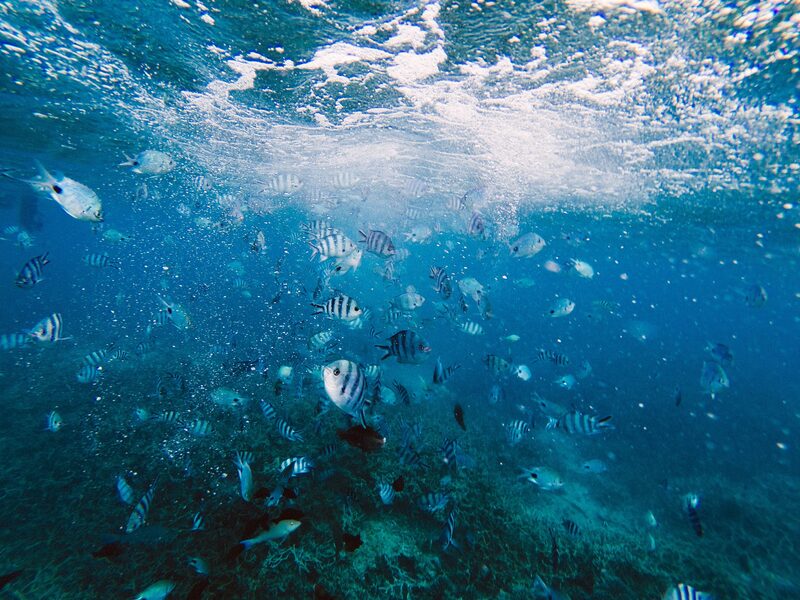 We had all been snorkelling before, but never like this. The diversity of coral blew me away! Amavi provided all our snorkeling gear and then got in the water with us to tour us around the reef. As we traded our sandals for flippers, we were amazed by what we saw. Every snorkel location is different, but we got to see a blowfish, trumpet fish, many schools, and coral of all shapes and sizes. The beauty of this protected reef is truly mind-blowing. Sailing is new to us, so we were all surprised how smoothly we moved in the water on our return journey. In fact, it felt we weren’t even moving at times. It was a complete change to the trek out to the reef. We were not crashing into waves, but instead moving along with them. It was so smooth, in fact, that two of our three children fell asleep! It was incredibly peaceful. 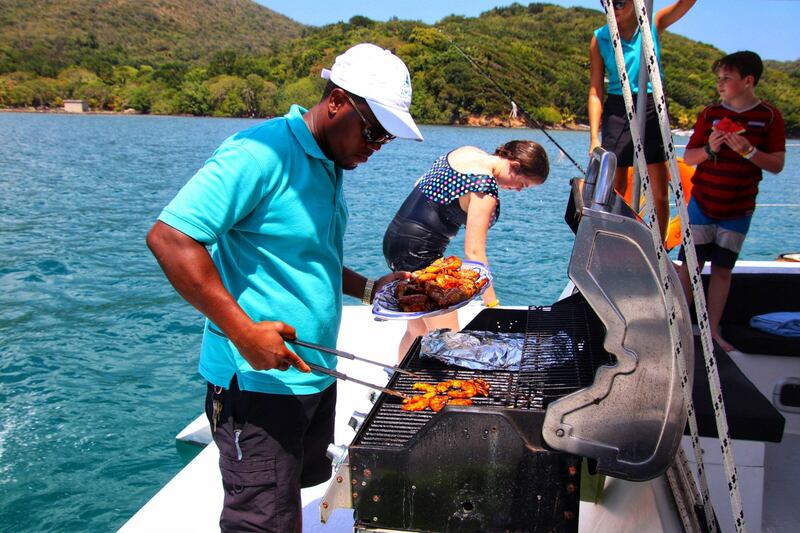 I was blown away by the absolute delicious Caribbean picnic BBQ that awaited us after we got back to the catamaran! We knew lunch was included in this charter, but no one prepared us for how delicious it would be. Our family had been on a cruise ship for five days prior to our trip with Amavi and the food was clearly better on our little catamaran than on the entire cruise ship! Natasha, one of the owners, makes everything from scratch and let me just say…boy, can she cook! 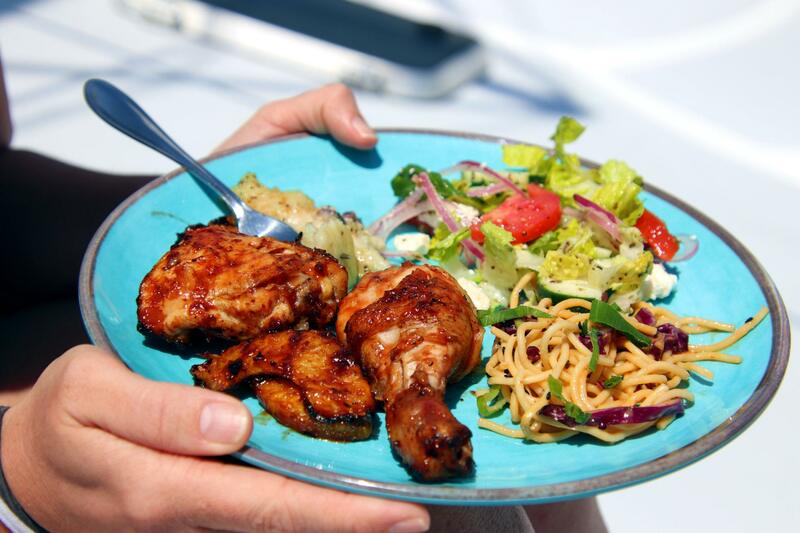 Thai pasta with rainbow veggies, green salad with feta, bbq chicken and pineapple grilled fresh while we were in the water snorkelling, lemon-pepper sea bass, and to finish it off, homemade key lime pie to die for. If your mouth isn’t watering yet, it’s only because you can’t smell it. It started the moment we met our driver at the cruise terminal. As we drove the 60 minutes down the island, our driver shared his love for Roatan and taught us just a little about the beauty of this place. But when we arrived at the harbour and met the staff of Amavi Charters, it was as though we were visiting someone in their home. The ease of conversation, their gentle, laid-back nature made us all feel like family. It was easy to relax in their boat, feel the wind on our faces and snorkelling with these new friends. Because of how friendly the staff are at Amavi Charters, it truly is easy to relax. They think of everything. Are you thirsty? 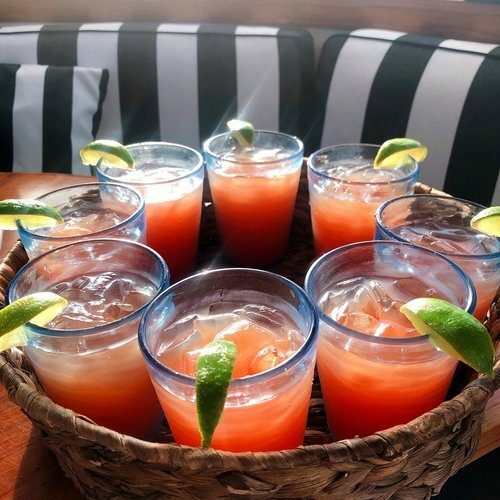 They have drinks. Are you hungry? The snacks and lunch provided are exceptional. Would you like to do nothing while enjoying the incredible scenery of Roatan? Done! And the fun came easily as the kids ride the waves on the way out to the reef, jumping with each small surge, pretending they were surfing. Once we stopped and prepared to snorkel, they loved jumping in the water over and over and over from the roof over the boat’s galley. 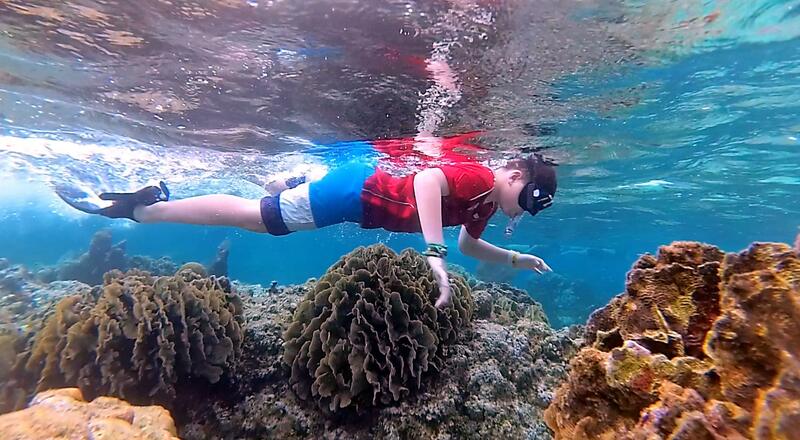 But the most fun of all came when we donned snorkels and fin to explore the reef. Amavi guides kept the time in the water at a comfortable pace, never rushing and always pointing out special fish and sea life. It’s simply relaxed, safe and fun. Now those are not the words you hear on most snorkelling tours! With Amavi Charters the private Roatan snorkelling tour makes all the difference. No fighting the crowds, no weird people on your tour ruining the experience. 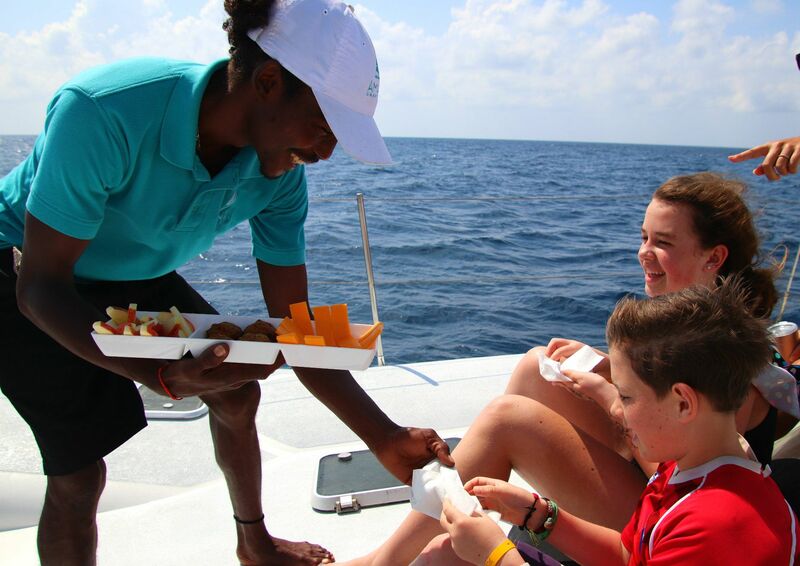 It’s just you, your family, and life long memories of an unbelievable day on the Caribbean waters. I am so glad the kids Papa was able to come too! Absolutely priceless. This oozed everywhere down to the smallest detail. I noticed it in how they talked with each other. Or in the way they shared the tasks of our chartered tour. But mostly it was how 1st mate Alan always had a smile on his face. Maybe he was born smiling, but I think he just absolutely loved his job. The hardest part of our day was saying goodbye. And though we were headed back to our cruise ship, none of us were ready for it to end. Warm water, colourful and diverse coral, exceptional food, new friends… Roatan and Amavi Charters has found a place in our hearts. No need to do anymore research on who you should just trust with your vacation dollars and shore excursion on the Island of Roatan. We spent hours researching the best Roatan snorkelling tour company and Amavi Charters wins hands down every time. Cruise Excursion Tip: Here is our biggest tip for you! Our Royal Carribean cruise ship docked at Port Of Roatan. Be first off the ship so you can make the most of your day. When you make it to the street prepare for a little crazy. All the local tour companies and taxi drivers start calling out to you and it can be disorienting (especially if you are first off the ship). Just take a deep breath and look for your driver wearing an aqua blue shirt and holding a sign that says ‘Amavi’.